I sat on the back of a boda wrestling a sackful of squealing, wiggling pigs as Denis carefully threaded through the trafficked streets of Pece back to his village. My skirt was slicked with mud and manure and as I grinned from ear to ear and hugged the squirming sack, I thought about the sequence of events that had led me to this exact moment in my life. On the day we were to pick up the pigs, Denis first took me to his village Bungatira, meaning ‘of the forest’. It was a beautiful ride with several stops along the way because Denis had to pick up cakes for me to eat, milk for me to drink and other special things that were quite costly. I watched him shell out his hard-earned boda money in my honor and was humbled to be considered worthy of such sacrifice. Once off the main road, the trail to the village became more like a single track mountain bike trail and as we bumped along, I smiled at the scenery of the land I’ve come to love-the red dirt that stains my hands and face and washes down the drain in mahogany from my hair, the piercing blue sky like the feathers of millions of bluebirds and the bright green grasses growing up along either side of the trail, flicking against my billowing skirt. When we arrived at Denis’ compound, I was tickled to see signs posted all over welcoming me to their home. I met his family and toured their farm, which included sugar cane, beans, millet, groundnuts, maize and sweet potatoes. It’s humid in Uganda and I worked up quite a sweat. We reached a creek that runs along the back of their village. “Do you want to bathe?” Denis felt badly that I was sweating so much. Back in Denis’ thatch roof house, Denis, his older brother Michael and I were served posho, beans, bread made from millet and chicken that was slaughtered and cooked that very afternoon. I drank the milk Denis had purchased along with glass bottles of Mountain Dew that were purchased just for the day. After the meal Denis’ immediate family all joined us inside the house. Although I’d already met them, I was reintroduced to the family formally and I knew then that I was in sacred territory, in the presence of a family meeting. Around the room they went showering accolades about this amazing gift Denis was to receive. I proudly showed photos of Julie and Clark and their family. Denis’ mother, who had earlier in the day welcomed me with traditional songs and dances, pressed her hands in mine and declared me her daughter. She made me miss my own mother and sent pangs of sorrow through me for Julie who misses her mother every day. They continued to speak of this great thing I was doing and though I insisted it wasn’t me-that it was all because of Julie and Clark-they kept saying that it was only possible because of me. Michael, Denis’ older brother, translated their words of kindness to me and told me it was no use deflecting them because I was the vehicle for Julie and Clark’s great generosity. Over and over again, they clapped their hands in appreciation and I sat quietly and took it all in. I fell in love with this sweet family who had gathered together to celebrate this second chance for their son. I especially fell in love with the eighty something year old parents who still tend to the crops. When Michael bragged about how bright Denis was when he was in school, I thought of Clark who, on the other side of the world, was at that very moment preparing for his own brother Michael’s funeral. The thought of these two sets of brothers honoring each other in such different, yet loving ways brought me to tears and when I told Denis’ family about Clark’s loss they sat in sorrow with me for Clark. The family sent me off with their sincerest sympathies mixed with their profound thanks and then Denis and I hopped on his boda to go purchase the pigs. The ride to the farm was a long one that wound away from the villages, back through Gulu and into Pece, the home of the famous Pece soccer stadium. At the farm Denis climbed into the pig stall and selected his four new pigs, three females and one male. He placed them in a sack and then tied the top of the sack making sure there were breathing holes. The woman selling the pigs stepped inside the house to get her receipt book and I slipped the money into Denis’ hand so that he could be the official purchaser of the pigs. Denis sat on the boda and I straddled the back of it, leaving a space in between for the sack of piglets. The woman hefted the sack into my lap and the squealing pigs wiggled and grunted as they tried to get comfortable for the ride. The sack was covered in mud and manure which as we rode back through Pece ground itself into my skirt and covered my hands as I held onto the precious cargo. “Are you okay? Do you want me to call someone else to help me take the pigs home?” Denis asked me for the millionth time. “Sure?” Denis grinned at me in the rearview mirror. We bounced along the road and I spoke sweetly to the squealing pigs trying in vain to calm them down. Several times I felt pig hooves and snouts poking out of the air holes and smiled at the Ugandans laughing at what must have been a comical sight, a muzungu woman wrestling a bag of pigs! The women in Denis’ family tsked over my dirty skirt and Denis looked at it in alarm. “You must take it off and let me wash it.” Denis insisted. “No, you must let me wash it.” Denis insisted. “Then I’ll take you back.” We said our goodbyes to the family and again rode back into town. That night as I sat in my hotel room bathroom scrubbing my skirt clean, I couldn’t help but smile at all the cultural differences I’d encountered that day. I hung my skirt to dry and showered off the sweat and dirt from the day. Rivulets of red mud dripped down my legs and swirled down the drain and I thought of how at the end of the day we are so much more the same than we are different. We are friends who laugh together. We are loud families who gather for a meal. We are brothers who love each other through life and beyond. We are mothers and fathers who work hard to provide for our children. We persevere in the pursuit of education. And on our best days we see the need of a stranger and place it above our own needs. On our best days we are Julie and Clark. This trip hasn’t been at all what I’ve expected, and not in a “happy wow amazing” way. Frankly, it’s been full of deceit, painful conversations, disappointments and a host of other things that I’m choosing not to go into. My time with the students has been great, but there are some things on this trip that have both threatened to and successfully robbed me of the joy of being here. It is the hardest trip I’ve ever taken and I’m fighting constant homesickness. 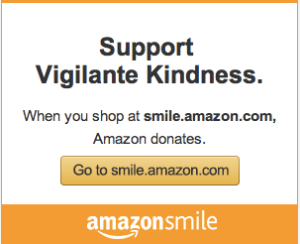 With the help of some of some of my friends back home, I’ve started looking for opportunities for what I’m calling Vigilante Kindness, acts of kindness not born out of an organization or a specific mission, just kindness for the sake of being kind, one person keeping vigil over another. I think these acts of Vigilante Kindness are going to be my saving grace and if I’m laying all my cards down, I could use little grace right now and I’m betting you could, too. I bought a mattress today which might not seem like a big deal, but as is always the case here, there is so much more to the story and a mattress isn’t just a mattress. There are two brothers who attend the school I’m working at. They were both accepted to the school this year and when a student is accepted into the school, their family must provide them with a mattress. The father, a peasant farmer, was only able to purchase one mattress and promised to purchase a second when he was able to earn the money. The two teenage boys have been sharing a bed since they were admitted. Education is a gift only some here receive, so sharing a bed is a small price to pay. Two weeks ago their father was involved in a land dispute. Land equals food. Land equals income. Land equals life. The dispute became quite heated and the father was murdered. The boys are left without a father. The family is left without an income earner. By purchasing a mattress for this boy, his family is now free to use what little money they earn to focus on things like feeding the family. The boys will be able to sleep better, focus better in classes and hopefully succeed in school so that the tragic loss of their father doesn’t spiral into the loss of their future. A mattress is so much more than a mattress. When I gave the kid the mattress and mosquito net, he was so overcome with gratitude. He kept thanking me over and over and I received his hearty thanks on behalf of my friends Becca and Gerald who prior to my departure shoved bills in my hand with simple instructions to find a kid in need and help them out. I did and tonight he will be sleeping soundly in his own bed. “I’ve started a new project,” my boda driver, Denis, tells me as we’re whipping down Juba Road on the way to the school. Denis is one of my favorite boda drivers from last year and he’s forgone our usual language lesson, wherein he teaches me Acholi words and shakes his head at my terrible pronunciation. “What’s your new project?” I yell over the wind in our faces. He answers, but between our differing accents and the wind, I’m sure I heard him incorrectly. “Did you say ‘piggery’?” I call to him. It’s interesting to me, this new vocation Denis is beginning, but I wonder why he’s telling me this when he’d usually be reviewing Acholi phrases with me and making me repeat them over and over until my pronunciation is almost passable. Or he’d be giving me a geography lesson, making me tell him the names of the areas we pass through and making me name the countries surrounding Uganda. Ah, there it is. Pigs equal independence and his own income instead of doling out a portion of every fare to his boss. “Um, okay. Apwoyo.” I thank him, tucking my head to my chest as a truck passes and covers us in a cloud of red dust from the road. Meat is a rarity at the school and I wonder how many kids could be fed off of one pig. I don’t tell Denis that in addition to not knowing how to slaughter or cook a pig, I haven’t a clue on how to pick a pig. The next morning, Denis drives me to the school again, my skirt flapping in the breeze and my rear end bouncing on the seat as I ride side saddle on the back. “How are your pigs?” I ask as we pass a group of schoolchildren walking down the road in brightly colored uniforms. That afternoon at lunch, I tell the kids at school about being offered a pig. They confirm that a pig is a gift I cannot decline. They tell me that only the very wealthy buy pigs and that pigs are often given as a dowry. I’m late leaving the school that day and Denis tells me it’s too late to see the pigs. I sigh in relief, grateful to give Alicia the pig an extra stay of execution and wondering if I’ve done the same for myself. I borrowed a travel Bible from my mom. I’d given mine away and was in need of a small one for my trip to Uganda. She gave me this tiny one which is smaller than a deck of cards. It was one of several small Bibles she offered up and I picked it from the stack because it would easily slip into my pocket. I added it to my pile of things to pack and yesterday before I slipped it into my carry on, I opened the cover and saw an inscription. The Bible originally belonged to my Great Uncle, Courtland William Lieberg, Bill for short. He was probably seven or eight when he received this Bible in September of 1928. I feel like I’m carrying my family with me as I travel to Uganda. I’ve got photos of The Hubs. Tucked away in my bags are special letters and gifts from my mother and sister to the kids they sponsor at the school. My mom even wrote a letter to one of my Ugandan sons. Best of all I’m carrying a Bible with pages fingerprinted by generations of my family. I smile each time I add another item to my backpack and the Bible peeks out at me from its assigned pocket. I just love that this tiny Bible came through all that space and time to travel with me to Uganda.